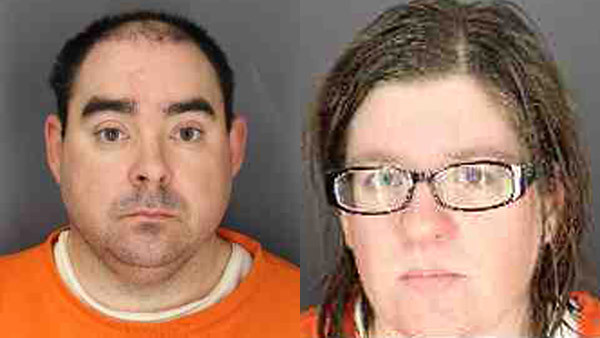 NORWICH, New York -- A couple decided to kill their disabled adoptive son and cover up the crime with a house fire after watching the Oscar-winning movie "Manchester by the Sea," according to the New York prosecutor handling the case. Chenango County District Attorney Joseph McBride said during a bail hearing for Ernest and Heather Franklin last week that Jeffrey Franklin, 16, was killed within two hours of the couple watching the film on Feb. 28, two days after the movie won Academy Awards for best actor and best original screenplay. McBride said an examination showed the teen died before the fire. The Franklins are charged with second-degree murder, arson and tampering with physical evidence. Michael Trosset, Heather Franklin's attorney, told the court that she's "innocent until proven guilty." A message left with her husband's public defender, John Cameron, wasn't immediately returned Wednesday. "Manchester by the Sea" tells the story of a man who accidentally sets a fire that kills his children. He wasn't prosecuted. During the Academy Awards ceremony on Feb. 26, Casey Affleck won the Oscar for best actor for his portrayal of the man's brother, while director Kenneth Lonegran took home an Oscar for best original screenplay. "Within two hours of that movie playing to this defendant and her husband, Jeffrey's deceased," McBride said during Friday's bail hearing. Officials said the fire was reported around 1:15 a.m. March 1 at the family's home in the rural town of Guilford, 55 miles (88 kilometers) southeast of Syracuse. Ernest Franklin, 35, pointed out the room where the teen was lying when police arrived on the scene, authorities said. Officials have said the son had mental and physical disabilities. The father told police he was away from the house chasing down the family's dogs when the fire started, officials said. Meanwhile, Heather Franklin, 33, claimed to have gone to two stores seeking a certain product while driving around from 11:30 p.m. until about 2:30 a.m., when she returned home, authorities said. An autopsy determined that Jeffrey Franklin was already dead by the time the fire started, McBride said. "The victim was badly burned," McBride said during the hearing. "Because of the damage to the body by the fire, the pathologist is not able to determine the cause of death." Bail was set at $250,000 cash for Ernest Franklin and $125,000 cash for Heather Franklin. Neither had posted bail Wednesday.